Yesterday, my co-workers were still abuzz about my appearance en femme on Halloween Wednesday. I received a few more compliments including one from the fellow who on Wednesday said I missed my calling and should have been a female impersonator. On Thursday, he said, "I prefer how you looked on Wednesday!" I said, "I do, too." One of the many comments I received on yesterday's post came as a complete surprise. It was from Peter Lappin, who writes Male Pattern Boldness blog. I have been reading Peter's blog for years and even wrote about it here, but I had no idea he read Femulate! If you have not read Peter's blog, I highly recommend doing so because I think you will enjoy it. Speaking of Femulate readers, actor and femulator par excellence Christopher Morley had some kind words to say about Femulate here on Facebook. If you have not visited Christopher's Facebook page, please do; it is full of photos and video clips from his acting career. The World Health Organization still lists transsexualism as a mental disorder. Former Miss Universe contestant Jenna Talackova is fighting back. Please read all about here and sign her petition. A few days ago, I added a gadget to the blog which lists the most popular posts for the past month. The gadget is located at the very bottom center of Femulate. hope you find it useful. 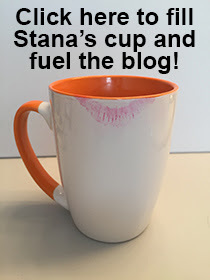 And if you have any other suggestions for this blog, please send them to me (stana-stana at sbcglobal.net). I'm a huge fan of Chris Morley Stana! He had a big impact on me when I was little and I always wanted to look as pretty and feminine as he did!